Set in 1960s Sydney, Unforgivable tells the story of seventeen-year old pregnant and unmarried Sylvia, who is sent by her parents to St Joseph’s Hospital, a Catholic Church-run institution catering to unmarried mothers, to await the birth of her baby. When Sister Bernard immediately demands that Sylvia sign the adoption papers, Sylvia is equally determined she won’t. She loves her boyfriend, Tommy, who has promised to stand by her, and wants to keep her baby. Very quickly though, Sylvia finds herself a virtual prisoner at St. Joseph’s and realises she must fight to stand her ground, not to mention her battle against the stigma, shame and secrecy of being pregnant and unmarried in 1966 in Australia. Besides Sylvia, the other two main characters are excellently drawn: Kim, who befriends Sylvia, and whose present day perspective, after she gave up her baby, is also cleverly woven into the story. Sister Gregory is an empathetic nun who often struggles with both the Catholic doctrine and her vocation. Unforgivable truly brings to light the plight of unmarried mothers and adoption issues during that time, and we realise how much things have changed since. It also raises issues about national conscription and the Vietnam War and the changes brought to the Catholic Church by Vatican II. Sydney in the sixties is excellently evoked through the author’s use of celebrities, events and fashions of the day. I felt the ending was a bit abrupt, and would have liked more information on Sylvia's later life and what happened to Sister Gregory. However, all in all, Unforgivable is a poignant, authentic and compelling read; a powerful story about unforgivable decisions and acts upon the innocent––young mothers being forced to give up their babies and go back to the real world and carry on as if nothing had happened. Highly recommended. 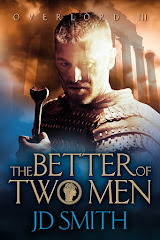 Sharon Robards is the bestselling Historical Fiction author of A Woman Transported. She lives two hundred kilometres north of Sydney, on the beautiful and rugged east coast of Australia, in a place called Port Stephens, a sanctuary for dolphins and a Mecca for tourists who come to see an annual migration of 6,000 whales each year. I first encountered Jim Williams when I saw the cover of Recherche some months ago. I was intrigued by the images, sought out the book – and was immediately hooked on his writing. It’s always good to discover a new author, especially one who seems in tune with one’s own ideas as to what fiction means. For me fiction has to be a bit fantastical without venturing into fantasy as such. Most of Mr Williams’ books are based in the real world – but it is the real world looked at from a slightly skewed angle. After reading and reviewing several of his novels, I caught up with him to ask a few questions on writing, reading and publishing. BSE: If you were trying to describe your writing to someone who hasn’t read anything by you before, what would you say? 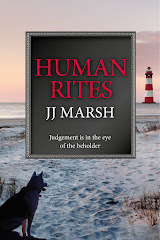 JW: I think I’d call my recent work off-beat murder mysteries with a humorous tone. I’ve tried to play games with the central mystery of the whodunit. While in every case there is a conventional murder, the central mystery is something else. In SCHERZO the mystery is “Who is the detective?” In RECHERCHE, there are two narratives, that of the Narrator, which is superficially conventional, and that of Harry Haze which is fantastical. We are trained to expect the murder to occur in the conventional narrative, but it in this case is unclear if this story discloses a murder or not; while Harry’s tale ends in a horrific murder, but contained in a narrative that is incredible. 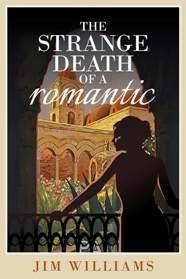 In THE STRANGE DEATH OF A ROMANTIC, there is a solution without a murder, because everyone agrees that the “victim”, Shelley was not murdered, but the book tells you who killed him. 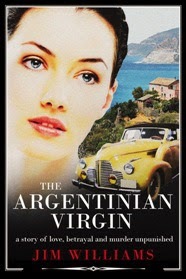 In THE ARGENTINIAN VIRGIN, there is a purely psychological murder i.e. the victim is destroyed but the body continues to walk around. 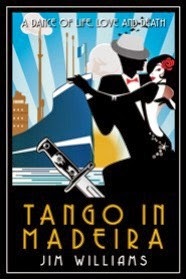 And finally, in TANGO IN MADEIRA, the victim, Robinson, in one sense doesn’t exist at all, in that he is a symbol for Everyman. BSE: One of my favourite characters of yours is Harry Haze. I like the way he changes shape and tells outlandish stories that may or may not be true. Where did he come from? JW: I’m conscious that we do not know the Truth. We only know more-or-less accurate stories about the Truth. This is so for murder mysteries, physics and our own memories. 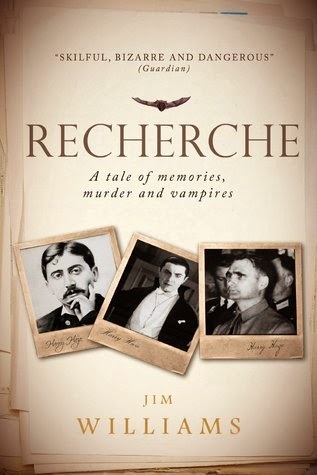 I wrote RECHERCHE in order to emphasise the importance of story-telling in our grasp of the world. But I also wanted to have some fun. 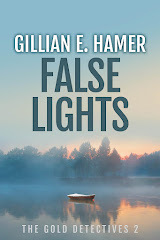 Harry’s absurd stories told in a variety of voices underline the artificiality of the narrative, and yet they are in some sense “true” and in particular the reader should believe that the final murder really occurred even though the details are buried in Harry’s fantasies. BSE: I particularly enjoy the way you play with names and meanings to add extra layers that readers may not even pick up on eg Alessandro Molin in Scherzo, and La Maison des Moines, the Monks' House, Munchhausen as the home of Haze, the teller of tall stories. Do you do this mainly for your own amusement? JW: You are astute to spot these little sweeties in the bran tub. If you know anything of Yiddish, you will pick up more of the same in Harry Haze’s account of Hotzenplotz, Ohio and the river Meshugennah. I do put them in for my own amusement, but also as a compliment to the reader who can pick them up. They’re not important but they allow you to enjoy the book in a slightly different way. BSE: You write in a variety of different genres and voices – often within the same book – and do it successfully. Do you think this comes from a gift for mimicry or a desire to be many different people? Are you yourself a shapeshifter, in terms of personality? JW: I write in different genres largely because I failed to achieve great success in any of them (boo hoo). The talent from mimicry is simply a gift and comes along with a good ear for foreign languages and a love of words, and also the desire to make it clear that I am telling stories (which is contrary to the trend for “transparent” writing in modern fiction). No, I don’t desire to be many different people. I’m generally calm, unambitious, funny to be around, and I love dancing and the arts. My wife and I are still madly in love after 45 years. I think I’m rather a ridiculous person but I’m very comfortable with that. BSE: Regarding different genres – you seem to be able to subvert any genre you tackle. Is this a definite decision you make or does it just come naturally? JW: I wouldn’t say that subverting the genre is a definite decision; or, if so, it’s a very inconvenient one from the standpoint of my career as a writer. The subversion – which I admit – comes from the need to occupy my mind during the writing and puzzle stuff out for myself. Also I want to provoke a reaction from the reader. I suppose I do it partly out of mischief. BSE: You have written under three different names: your own, as Richard Hugo (The Hitler Diaries etc), and as Alexander Mollin (Lara’s Child); Mollin presumably is dead* but are there likely to be any more books from Hugo? JW: No, I have no plans to write any further books by Richard Hugo. The ones I did write were bound up with the Cold War and might be considered sub-Le Carré. I’m too detached from contemporary life to write a plausible thriller in a modern setting. I suppose I could write an historical one, but nothing comes to mind. BSE: At the risk of sounding revoltingly sycophantic, I think you are great writer yet you are not as well known as you should be. Why do you think this is? JW: I think the answer is that I’m too bloody odd. At all events I don’t blame the publishing industry for my place in the scheme of things; I was treated very kindly and given a fair crack of the whip. As to the “great writer” comment, I would disagree: I think I’m as mediocre at writing as at most things, but I’m comfortable with that because for most of us – limited and stupid as we are – mediocrity is an achievement, and happiness has come from facing that reality squarely. If I had been more successful, I fancy I should have become a complete dickhead. So far as the books are concerned, in certain technical respects they are old-fashioned; some of them are strange; and I suspect they fall in an unfortunate gap between being immediately engaging and literary, being neither wholly one thing nor t’other. The joy is that every now and again I find a reader on the same wavelength. If you enjoy my books, you may be odd too. There’s no cure. BSE: I am happy to be odd if it’s a condition of enjoying your books. You’ve been published by traditional publishers and nominated for the Booker Prize and now some of your books are with a small independent publisher, Marble City; what do you think of the state of publishing generally, eg: the rise of independent and self-publishers and the conservatism of the big 6? JW: Conventional publishing is very difficult for mid-list and new writers. The end of the Net Book Agreement and the movement of face to face retailing from bookshops to supermarkets and online has given increasing dominance to a few big name writers. In truth, the demands of leisure readers worldwide could probably be met by a couple of hundred best sellers per year, and the rest are just by-products of an historically inefficient production and marketing system. Conversely, print-to-order and e-publishing have removed the traditional gatekeepers (publishers and bookshops) that also used to protect the midlist writer. In consequence, below the level of the best sellers, all voices, including those of mid-list writers and new writers of talent, are drowned in a cacophony of white noise. BSE: That certainly seems to be true but I hope it has not put you off writing. What are you working on now? JW: A few years ago I wrote THE ENGLISH LADY MURDERERS’ SOCIETY. Everyone who has read it, and especially women, has loved it. That said, it was hell to get it published and I had to settle for a small publisher who has made nothing of it. I found the experience demoralising and decided I had better things to do, not least dancing with my missus. However since Marble City picked up my work I have slowly become motivated to give writing another go, though without investing too much emotional capital in the outcome. Presently I am working on a sequel to that last book, provisionally titled THE DEMENTED LADY DETECTIVES CLUB. BSE: One of my favourite lines from The Rubaiyat of Omar Khayyam is ‘I often wonder what the vintners buy, One half so precious as the goods they sell’... which leads me to ask: Who do you read for pleasure? JW: I read a lot of American crime fiction, often in French translation (to keep my hand in). I am an admirer of Stephen King, whom I consider a fine stylist and a writer of humanity. I also consider Elmore Leonard to be a fine writer. Many of my favourites I would describe as “whole life” novels, in which the reader sees the principal character developing over time. Anthony Burgess’ Earthly Powers falls in this category, and my creation of Harry Haze reflects this interest in a bizarre way. Astonishingly I have actually read the whole of Proust’s classic (in English admittedly) and enjoyed it, though the thought of re-reading it induces feelings of panic. BSE: Well, I’ve only got part way into Proust but it’s still on my TBR list – though with so many other great books around I wonder if I’ll ever get back to it. Many thanks to Jim for providing some excellent answers to my questions – and for providing me with reading matter for a while longer. * Alexander Mollin was killed off in Scherzo as Allessandro Molin. Jim Williams first hit the news when his early novels had the uncanny knack of coming true. 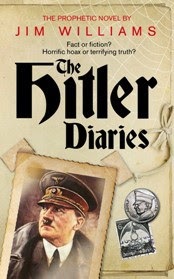 The Hitler Diaries was published nine months before the celebrated forgery came out in 1983. Farewell to Russia dealt with a nuclear disaster in the Soviet Union months before the Chernobyl disaster. 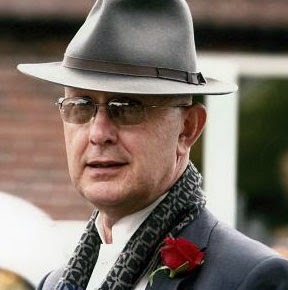 Lara's Child, his sequel to Doctor Zhivago, provoked an international literary scandal and led to his being a guest speaker at the Cheltenham Festival. Scherzo, a witty and elegant mystery set in eighteenth century Venice, was nominated for the Booker Prize. All of his fiction has been published internationally. 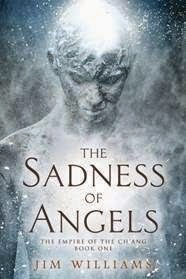 The Sadness of Angels is his twelfth novel and his first in the science fiction fantasy genre. 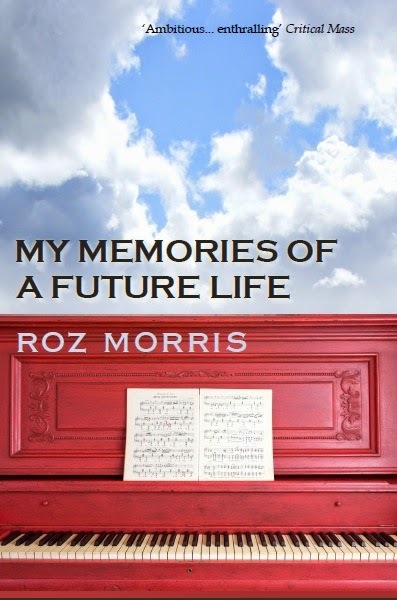 JW Hicks, author of Rats, reviews My Memories of a Future Life and interviews the author, Roz Morris. I have to admit that as soon as I read the title I was hooked; it conjured such speculations! 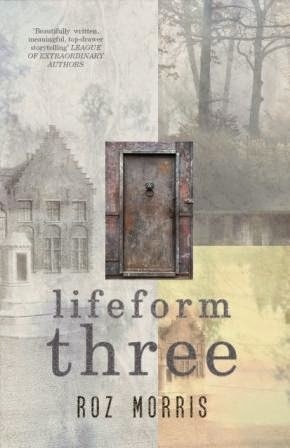 But it was the three dimensional characters in this wonderfully written novel that kept me reading. They leapt from the page, insisting I speed through to the very last one. But even after the book was finished those characters – those people – stayed with me. If it’s true that a good book haunts you, then My Memories of Future Life is a darned good book. Yes, it’s the characters drawn with such exquisite care by Roz Morris, that make this book unputdownable. There’s Carole, the classical pianist imprisoned in a world of pain caused by RSI; Jerry, subject to such violent panic attacks he’d once been hospitalised for a suspected heart attack, and there’s Gene, of course – the mysterious face-from-the-past; the puzzle that Carol wants so desperately to solve. All of them live, and breathe and burrow deep into your consciousness. Carol and Jerry, failed failed by conventual healers turn to alternative therapy. Jerry to a showman healer who performs past-life regressions, promising to reveal the trauma that causes present-day pain, and Carol to the aforesaid Gene, a genuine practitioner of the hypnotic arts. While Jerry is regressed to the Victorian era into the body of a Ripper victim, Carol is sent forward in time, incarnated as Andreq, a male soothesayer, – soother and healer – who lives in an underwater dome. Andreq is one of the privileged, an elite of future-day Earth. Discovering Jerry has been duped, Carol must consider if Gene is all he says he is. Will the sessions with Gene, experiencing Andreq’s life, help her play again? Are they real, or merely fictions created by Gene? Finally, Carol comes to see the parallels between her life an Andreq’s. In the process she comes to understand more about herself, discovers the origin of her pain, and begins to see the possibility of a rosier future. My verdict? My Memories of a Future Life is a truly satisfying book and well worth reading. In your search for Quirk you need look no further than this splendid novel. Do you finish one book before you start another? Do you have an ideas book open ready to jot down new thoughts? With my novels, I have a principal book I’m working on, and others in chrysalis. I get a notion for a novel and brainstorm on a text file, then add other haphazard ideas until it becomes substantial enough for coherent research. I also have a stack of notebooks where I put fragments with no intended destination - overheard conversations, characters, quirky happenings etc. I’ve been keeping them for about 20 years and have completely forgotten what’s in them, so I can open one at random and find a surprise. Is your writing plot driven or character led? All my novels start as situations that strike me as poetic metaphors . With My Memories of a Future Life, I thought ‘what if someone was taken by hypnosis to another life, but the future instead of the past?’ Then I question who would do this and why. The characters emerge and show me why I find it so resonant, although I have to interrogate them pretty hard. I sometimes feel the idea is playing with me until I guess the right questions. With My Memories of a Future Life, the question I was seeking was despair - if something destroys the way you live, can you see a future? This process involves a lot of notes. With Ever Rest, my current work, I had 27 files on my computer with characters, background, research and other workings before I figured out what it should be. As a ghost writer, did you find it difficult to adapt your writing style to new assignments? Not really. I’m a style sponge. When I look over a draft, I can tell what I was reading at the time because of the ideas and phrasing. Graham Greene, for instance, colours my entire style. So adopting a client’s voice was simply a matter of tuning my ear to the things they noticed, the way they expressed themselves and what their readers wanted. Quite good training for writing dialogue, actually. What you call ‘strange’ I call ‘quirky.’ I write odd, quirky stories and look for quirky reading matter. It was the title My Memories of a Future Life that drew me to your book. How important are titles, do you think? Oh I love the quirky - as you probably guessed! Titles are so important - like covers. I love titles that vibrate with enigma and mystery. I’m also an editor, and I often find my writers’ titles aren’t striking enough. They’ll choose something that makes sense once you know the book, but won’t grab a reader’s attention. The shortest things we write about our books often take the longest to get right - sales blurbs, titles. What is your favourite genre? Have you a favourite author? Are you haunted by a book you once read? I am haunted by so many books. I’d better limit it to five, but will always lament that I didn’t tell you about more. Santa Evita by Tomas Eloy Martinez - a soldier who has to guard the corpse of Eva Peron. H is for Hawk by Helen Macdonald - a visceral, vulnerable memoir of bereavement, woven into a story about training a hawk. And anything by the troubled, brilliant Gavin Maxwell. That doesn’t really count as two choices because I like Maxwell and Macdonald for similar reasons. The Eclipse of the Century by Jan Mark - about a man who apparently glimpses the afterlife while dying in a crash, then discovers it’s a place that really exists. As a literary sibling to that I’ll add The Bridge by Iain Banks, where a man in a coma inhabits a mind-world set on a gigantic version of the Forth Bridge in Scotland, while he struggles his way back to life. And The Brief History of the Dead by Kevin Brockmeier, an inventive vision of how we are kept alive by those who remember us. I was very taken with Gene. Have you a favourite character in Future Life, or in any other of your books? Oh I love Gene. A lot of people ask me where he came from and I don’t know. He simply grew as a necessary force. I recently made an audiobook of Future Life and my narrator emailed me to tell me she was having dreams about him. She told me them, and very disturbing they were, too. I get regular requests to write a sequel, preferably about him. Having said all that, he was difficult to write. It would take a long time to get him talking, but once he started, he would surprise me. I have a character in Ever Rest who’s similarly difficult. I have to wait for him to wake up and take part, but when he does it’s like I discovered a new colour. He’s not pleasant, either. My other favourite character is Pea, the horse in Lifeform Three. He’s drawn from my 17.2-hand Irish hunter, who in real life is called Byron. That may make you wonder how big I am - I’m actually a light-boned 5 foot six, so when I ride him I look like a crane fly who stole a warhorse. He’s far too big for me but after 19 years of adventures we look after each other. Arthritis nearly killed him a few years ago - ironically while I was drafting Lifeform Three - but I coaxed him back to fitness and now we strut about the countryside again. I always wanted to write a book that would celebrate horses, but in an unusual way, and I finally found it with the Lost Lands in Lifeform Three. So Pea is special to me. Is there a special place where you write? And have you a strict timetable for writing? I write in my study, at a giant desk I salvaged from a dining room table. My mother-in-law’s neighbour was throwing it out. It was a horrid tarnished mid-wood colour, so I painted it dusky lilac, with black legs to match my black bookshelves. I have special objects on my desk: a wooden stationery box given to me one birthday by a friend who died that same year in a car crash; a pheasant tail feather I found in Byron’s stable; the bottom half of a smashed perfume bottle, which looks like a post-apocalyptic skyscraper and still gives off a faint aura of Givenchy’s Organza. These fixtures give the desk a geography, zones where I can stack the notes for each book. I don’t ever open my window as a gust of wind could cause literary apocalypse. As for time, I write whenever I can, depending on freelance editing work. I log my progress, but in terms of hours spent, not wordcounts. A session on a book might involve thinking into a textfile, or research, but the understanding gained is just as useful as words in the manuscript. Do you ever have those depressing times when there are no new ideas in your head and all the words have drained away? If so what do you do about it? Yes - when I finish a book I get anxious. Not about whether it’s finished, because I know when it’s complete. But I see the late-stage revisions as a process of dress rehearsals. The final, perfect draft is the performance, when all is running well. Leaving it and moving on scares me. I can’t imagine feeling as certain anywhere else or starting the battle again. I try to forestall this by getting another idea well advanced, but once I’m polishing I can’t spare the heart for anything else. 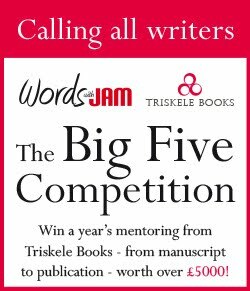 What gives the best buzz, being hit by an idea, feeling the power-flow of in-the-zone writing, or plumping down that final full stop? All of them! But I am rather over-excitable, or so my husband says. He’s a writer too, so fortunately he understands. Are there any words that you use too often? Are there words that you love to use? I’m sure I use the word ‘x-ray’ too often, because I love it as a device that allows you to view the hidden - both in actuality and poetically. 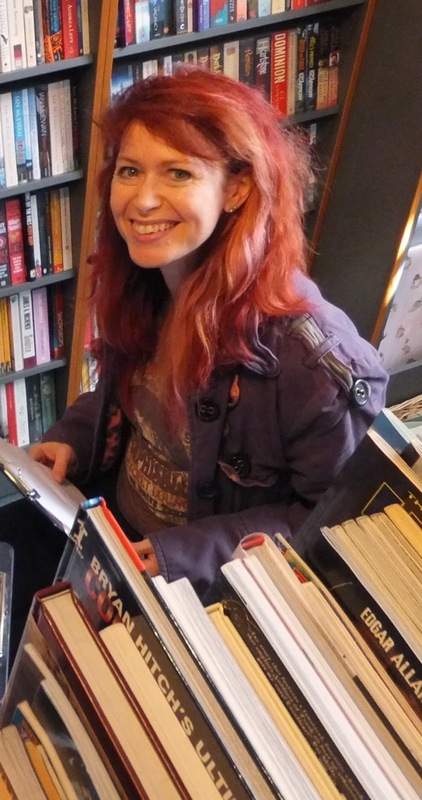 If you remember my introductory page, I promised a review Of CJ Cherryh’s Chanur series, but when the opportunity arose to interview Roz Morris, I jumped at the chance. Cherryh’s coming next, promise. This week, we meet Ricardo Fayet, co-founder of Reedsy, the curated marketplace of freelance editors, proofreaders, designers and illustrators..
Hi Ricardo. Can you start by telling us something about your background and how you became involved in Reedsy? What had you been doing before that? Hi Catriona. 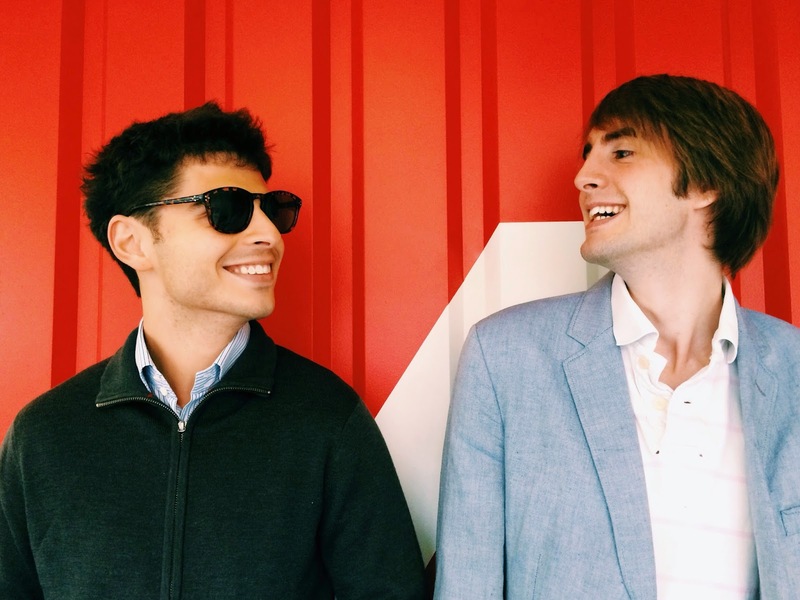 Before starting Reedsy I was a business school student in France, as was my co-founder Emmanuel. It was fuelled by the fact both of us were avid readers and eager early-adopters of the digital formats (Emmanuel imported his first Kindle from across the pond). At the same time, we were really passionate about tech. I think it would be George R.R. 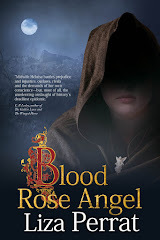 Martin’s first book in the A Song of Ice and Fire series. I read it in 2006 or so (before it was “cool,” if you like) and got incredibly hooked in to it. It was very frustrating though - at that time George hadn’t published that many books in the series yet, so when I was coming close to the end of what was out there (and read that he wasn’t even close to finishing writing the next one), I had to compel myself to read slower, putting down the book at the end of each chapter, etc. Although, if I was allowed to call it a tie with a second book, it would be The Red and The Black, by Stendhal. It’s a book I first started as I started any “school book”: with this mixture of hope and reluctance. I’ve read it thrice since. I just think the characters are perfect: they’re all incredibly different, with almost opposite, extreme values and personalities, and still I was able to connect to each one, understand them and feel their emotions. What excites you most about the world of author publishing? Another exciting thing is that I think there is a desperate need for tech in publishing, and indies are more receptive to it. The problem is that this ‘need’ has been identified by way too many people who think they can do tech, but can’t. Or by people who can do tech but who push their products before even consulting indie authors’ needs. Striving to not fall into either of those categories is what keeps me going every day, and the thought of what could become possible if someone figures out how to do it right. Plus, let’s be honest. I haven’t met an indie author yet who wasn’t incredibly nice and an inherently good person. It’s a blessing to be working with this community. Tell us about the basic idea behind Reedsy. When and why was it set up? 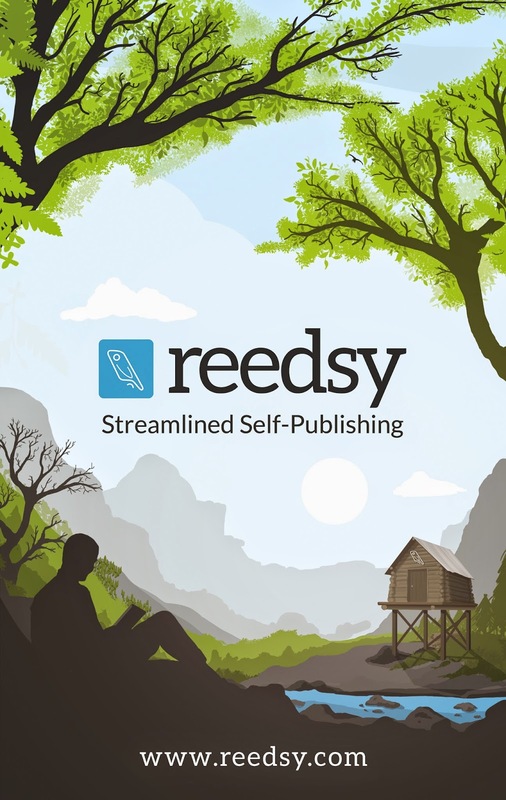 The broad vision behind Reedsy is to invent a publishing model that combines the quality of traditional publishing while keeping the freedom and business model of self-publishing. Reedsy started with Emmanuel and I around a year and a half ago. For a year we spent our evenings and weekends scheduling interviews and chats with authors, agents, publishers, journalists, etc. just to get to gather knowledge about the industry. Once we had a clear vision for Reedsy (the one outlined above) and a good idea of how to get there, we dropped our respective jobs to start building it (around June this year). What we’ve built so far is a tightly-curated marketplace of freelance editors, proofreaders, designers and illustrators. Authors can search it according to their need and genre, and choose up to 5 individuals to ask for a quote (and sample, in the case of editing). On top of that, we’re building project management tools so both authors and freelancers can keep all their workflow, files, payments and contracts, perfectly organised, in one place. We have many other plans in the pipeline. Our goal is to make sure everything we do brings value to not just authors, but editors and designers and other freelancers too -- and we always question whether we’re doing is achieving that or not. How many service providers do you have signed up with you now? What categories of service providers do you cover? We have started with providers who fulfill an author’s most basic (and vital) needs: editing and cover design. Since September, we’ve received over 3,000 applications from freelancers. They’ve created intelligent, intuitive profiles where you can check their work experience, portfolio, awards, etc. In a word, we’ve created sort of a Linkedin specialised for freelance book professionals. Out of these applications, we’ve hand-picked the best ones and are now featuring around 200 of them. We will soon be adding freelance publicists (PR specialists) to the marketplace -- and this segment will be even more heavily curated (you won’t get the “I’ll write you a press release for $5” kind of guy). I am an editor / cover designer / other service professional. How do I go about signing up to Reedsy? Through our landing page, indicating during the signup process that you’re registering as a freelancer. Once I’m accepted, how do I go about offering my services to authors? You wait to be contacted by one. Once you are, you get to see the brief, containing all the details you need about the book, and offer a quote, explaining what you’ll do, for what price and deadline. You can also attach a sample. Do Reedsy get involved in the contractual arrangements between author and service provider? Do they take a cut? The only thing Reedsy does is provide an easy interface for receiving the brief/offering a quote, negotiating, and agreeing on specific terms. We do not decide the terms nor influence anyone in any way. However, we do then take a 10% cut on the payment. I am an author looking for editor / cover designer / other service professional. Through the landing page. The onboarding process is really quick as most information we ask for is optional. But it’s worth taking the time to fill out everything - as we’re working on author profiles (you’ll love them), if you fill it we’ll keep it saved for then. How do I know that I will get a good service from any of your listed providers? In the first place, on Reedsy, we filter the marketplace so that we only display freelancers we know are talented and professional (because they’ve proved it in the past). This guarantee is part of what makes Reedsy the best place to come find a provider (we would lose all credibility if it turned out this was not the case). Reedsy is free for the author - we take a 10% commision from the freelancer. It’s important to remember that most of our editors and designers come from a traditional publishing background, and have a great reputation in their field because they’re so talented. You’re getting someone at the top of their game on Reedsy, and the saying ‘you get what you pay for’ holds true. Now, they’re all working already with indie authors, so they’re not unreasonable either. Tell us some of your success stories. What are you particularly proud of? I think what we’ve achieved with Reedsy in under 6 months has certainly been the most rewarding thing in my life so far. Launching the site in September, having hundreds of book professionals take the time to fill out profiles and share them… There’s nothing like creating something out of nothing and having people enjoy it. It’s just what an author feels when getting their first reviews, I imagine! What do you think is the future for author publishers? How can those who are approaching it professionally (using editors and cover designers etc) best distinguish themselves from the much derided ‘finish-the-first-draft-and-upload-it’ view of self-publishers? I think for writers it can be really hard to show to a potential reader what you have to offer, especially online -- you don’t so much get that crucial moment where a reader flips through a few pages of a book to see how they feel. This is important because of this challenge you’re highlighting that authors have, how they need to distinguish themselves from authors who are more ‘amateur’ than ‘indie.’ But it’s not impossible. This is where having a great book cover is important. Obviously, you shouldn’t judge a book by its cover, but you can afford to be at least a little prejudiced! If an author has cut corners on the way their book is presented, it’s unfortunately reasonable for a reader to worry about whether that happened in the editing of the book itself. Much like in life, looking professional helps when you’re a self-published author. Another way of distinguishing yourself is showing your potential readers what your work is like more directly by making excerpts and sample chapters available easily. There’s a little debate right now about the return you get from giving away material, but there’s something intuitive to the idea that the best way to show a curious reader that you’re a good writer is by showing them your writing. And finally, what was your stand-out book of 2014, and why? A startup is definitely a very complex problem, or rather a constant blend of several of those. Using fiction to “teach” entrepreneurs about how to handle the tough moments is something that Eliot has done very well. Or at least it has really worked for me!